Roger Author Business, Finance & Jobs / youtube,facebook,instagram,twitter,etc. In this course I'm going to walk you through how you can utilize the Facebook messenger to start generating more leads and sales for your business. 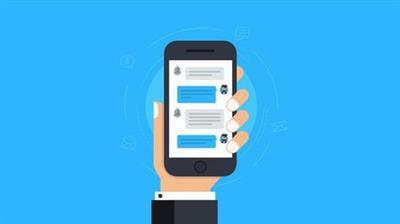 Facebook has recently made a lot of changes to the messenger tool and now allows software developers to use the Facebook API to create Facebook messenger bots. These bots can be utilized with your Facebook pages to automatically interact with your fans and customers. For example, if you create a post offering to give away a free eBook and someone sends you a message or comments on your post the bot can automatically follow up with a message and a link to download the eBook. Once a user has messaged you they have essentially turned into a lead. You can now send broadcasts to all of the people whom have messaged you before. This more or less turns Facebook messenger into a very powerful marketing tool you can use to engage with your audience and fans. Responses based on specific words "yes" or "no"
Include call to actions with images, text, buttons or links. Setting up a Facebook messenger bot is an absolute awesome way to start building your following in 2017.